A picture is worth a thousand words. See what we've done. Paul+Paloma is an up-and-coming international textile designer. 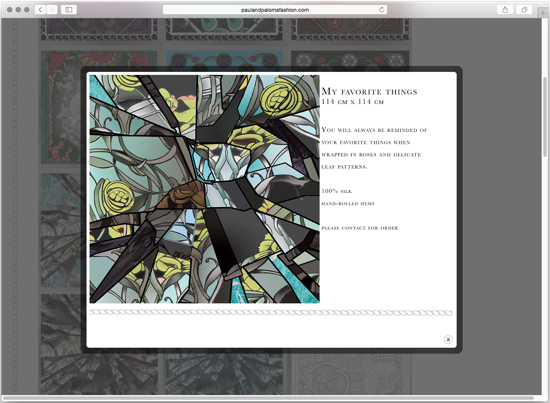 When they needed a website that showcased their bold style, they contacted crome-plated. We not only built a site that presented their entire catalog to prospective buyers, but demonstrated how each piece may be worn and accessorized by a prospective customer. 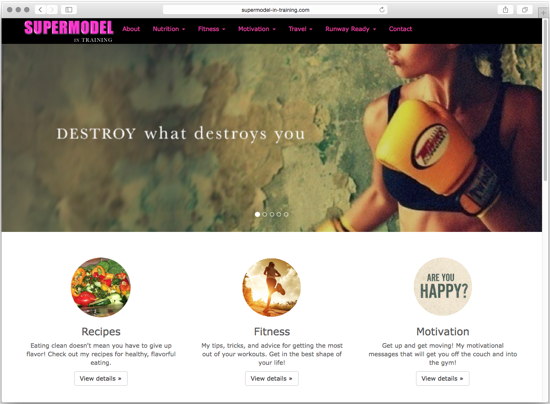 Built to help launch the career of Debbie Epping, personal trainer, the Supermodel in Training site provides great information for personal training, healthy eating, and clean living. "[crome-plated]'s work on my website was instrumental to boosting my career as a fitness professional. . . the attention to detail and ability to meet my requests in a short period of time now allows me to maintain a fully functioning, beautifully designed website," says Debbie. "Detail-oriented developers that never lose sight of the big picture. A pleasure to work with, and maintains strong communication before the project begins, during the duration, and even after the project is complete. I have nothing but praise...." Kate Dever, Graphic and Ad designer.